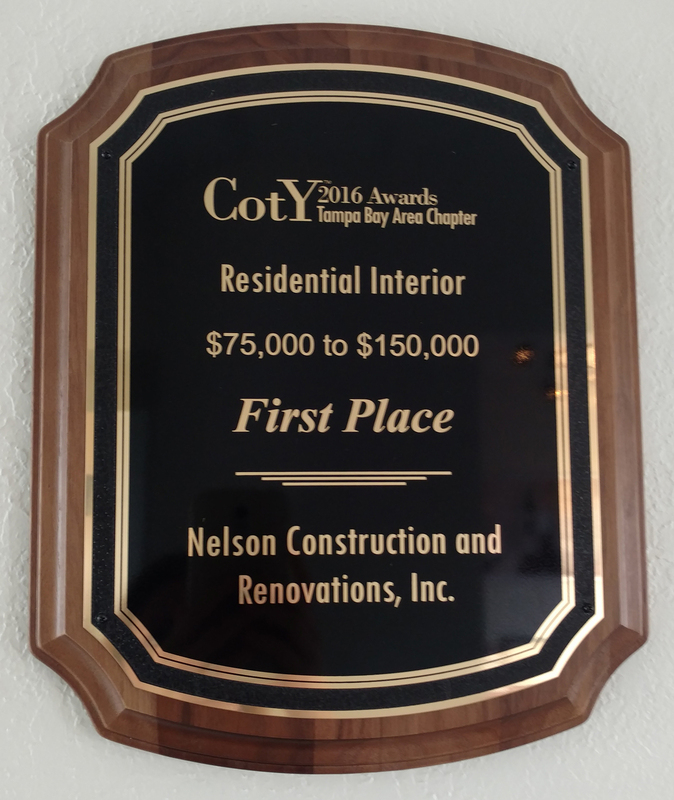 Nelson Construction and Renovations wins first place in the 2016 NARI Contractor of the Year Awards! 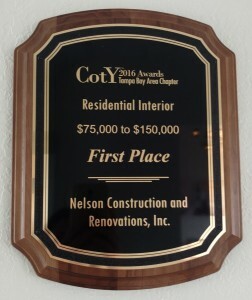 Nelson Construction and Renovations won first place in the Residential Interior category of NARI’s 2016 Contractor of the Year Award. 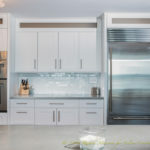 The National Association of the Remodeling Industry–also known as “NARI”–is a group of like-minded professionals in the remodeling industry who follow a strict code of ethics. 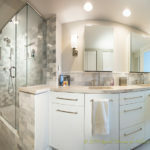 Nelson Construction and Renovations has been a member of NARI for nearly three years. This condominium in Treasure Island had not been renovated since the 1970’s. In addition to gaudy wallpaper and yellow and green color schemes, the space was small and closed in, making it far from ideal for the party-loving homeowners. The clients also wanted a change for their guest bed and bath, so that friends and family visiting from out of town could enjoy the luxury and comfort so fitting with the tropical view of the Intracoastal. After bringing the space back to the studs and replacing all the insulation and drywall, as well as reconfiguring the layout and the space plan, we were able to bring the home up to the twenty-first century. 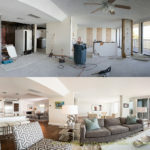 This full condo renovation included the master bedroom and master bath; guest bedroom and guest bath; kitchen; laundry room; living room; dining area. Our interior designer helped the clients select their furniture and finishes, unifying the whole space under the same motif. 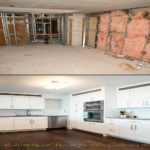 The result was a beautiful, contemporary space with a high-end feel. 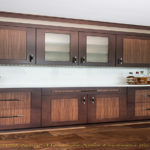 The space contains a number of unique and modern finishes including: custom concrete countertops in the kitchen, master bath and guest bath; custom, hand-made and hand-finished cabinets in kitchen, master bath and guest bath; multi-colored LED lighting in the kitchen and bourbon cabinet, both above and under the cabinets; contemporary art and furniture.